Product #2368 | SKU BEHB01 | 0.0 (no ratings yet) Thanks for your rating! 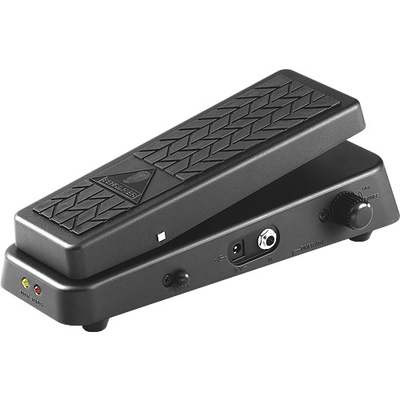 The HELL-BABE HB01 is unlike any wah you’ve ever stepped on, offering a tremendous array of tone-sculpting options. You get everything from “old-school” wah to the most up-to-date sounds, all in one mesmerizing effects pedal. The HELL-BABE will add new dimension and depth to your artistic expression. What’s So Great About the HELL-BABE? First of all, this demon’s heel-down RANGE control provides low frequency adjustment that can be swept from 440 Hz down to 250 Hz, making the HB01 the ideal companion for either guitar or bass. For custom-tailoring the toe-down frequency range, the HELL-BABE features a FINE control, allowing you to adjust the frequency sweep as high as 2.2 kHz. Unlike anything else on the market, the HELL-BABE uses no mechanical pots or switches, which significantly reduces on wear and tear. But that's not all that separates this pedal from the pack; it also features a spring-back pedal mechanism with resistance adjustment. And thanks to our ultra-bright LED indicators you’ll always know when it's on and when the volume boost is activated. You can power this bad boy with a 9V battery or our PSU-SB DC power supply (not included).